Posted in Dinner, DIY, Food, Treats	by C.
Summer nights. Summer cooking. I’ve been afraid to turn on the oven over the last few nights because my apartment has been so H.O.T. You can only use the “let’s eat out because I don’t want to turn on the oven” excuse maybe once a week (and I used mine already). When the hummus I bought at the farmer’s market expired and I still had an entire pack of pita bread left over, I threw it in the freezer until I could figure out what to do with all the leftovers. So I took advantage of a little treat that my boyfriend will sometimes make while we’re hanging out on the weekends, tailored it to my taste buds, and turned it into a quick dinner item. The best news? The oven only needs to be on 20 minutes max. 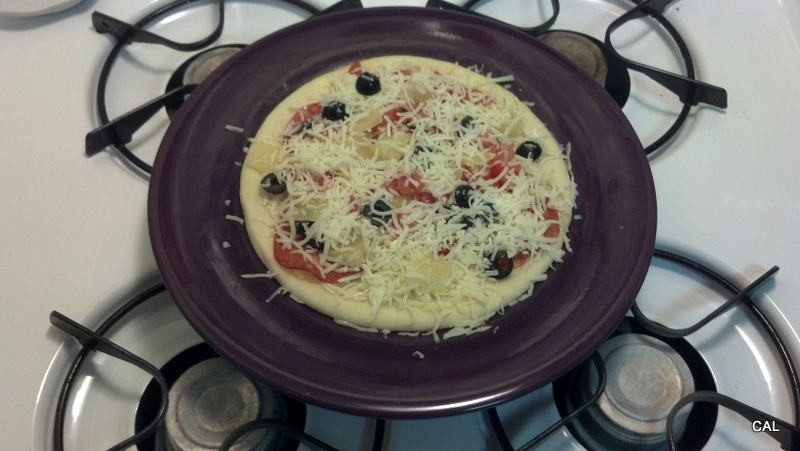 You’ll need pita bread and toppings of your choice. 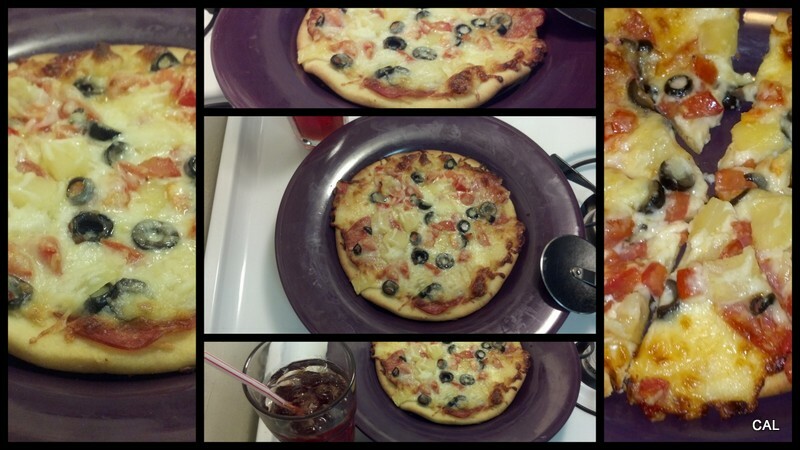 I went with pepperoni, mozzarella cheese, monterey jack cheese, black olives, tomatoes, pineapple and olive oil. 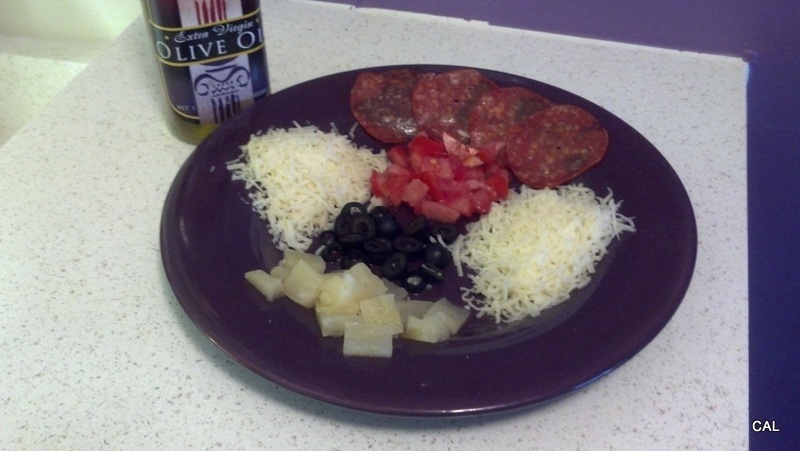 Spread olive oil over pita bread and assemble toppings to your liking. Place directly on the oven rack at 425º. I like to line the bottom of my stove with foil to catch any toppings that fall off during baking (and it always happens). Grab yourself a glass of ice tea and some parmesan cheese and you’re good to go! YUM!